With Halloween just around the corner, your mind must be flooding with Halloween party decoration ideas. 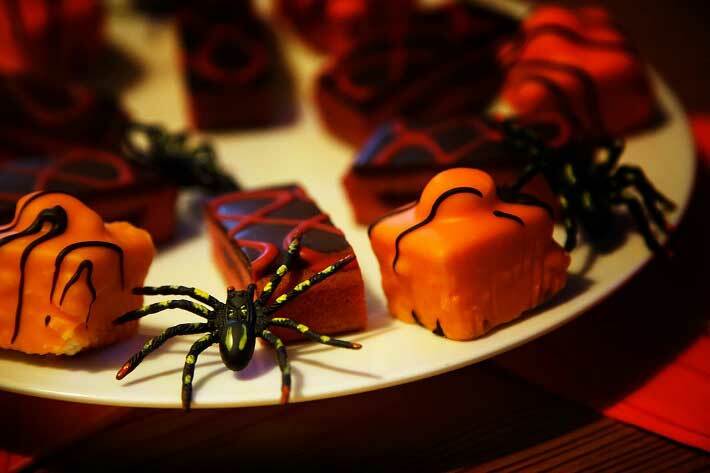 Throwing a Halloween themed party may seem easy, but you have to consider a lot of aspects. 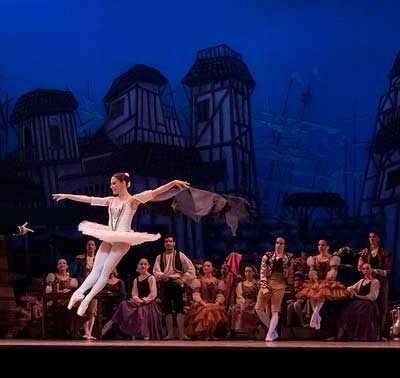 From food to décor, from lighting to costumes and party invitations – everything has to work together to create a scary facade. Plan a night party for adults. The kids will be tired of tricks or treating and you’ll get some grown-up time with your friends. This is also a good idea to spend some time with your partner strengthening your relationship with him/her. 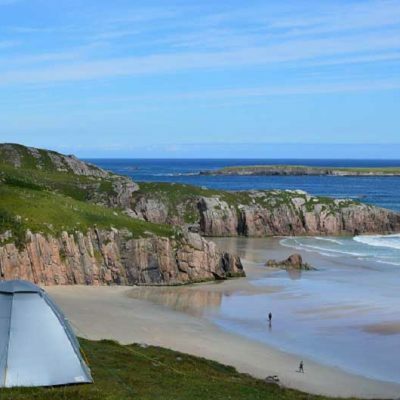 Do not go overboard with expenses. DIY most of the décor if you can and save it for future. Do not feel overwhelmed by the enormous number of Halloween party decoration ideas available on the internet. 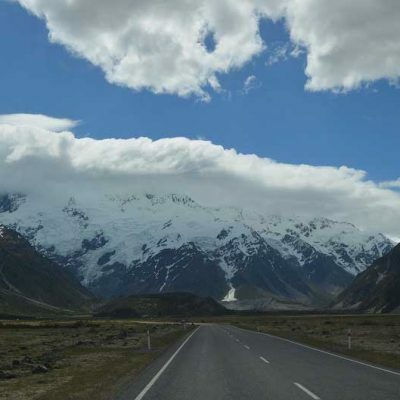 Know what you want to do. Photo booths have become an essential part of parties all over the world, sowhy not make it a part of your Halloween party decoration ideas? Get a professional to design the photo booth or flaunt your creativity and do it yourself. Create a spooky background befitting the theme of the party and make some scary props using black papers and sticks. Ask your guests to pose wildly with the props to get memorable Halloween pictures. Afterward, get these photos printed and create an album for a lifetime of creepy memories. Take your guests on a bloody ride to haunt their memories forever. Get some skeletons, red paint, horrific images, and dummy human organs from the store and place them around in your house. 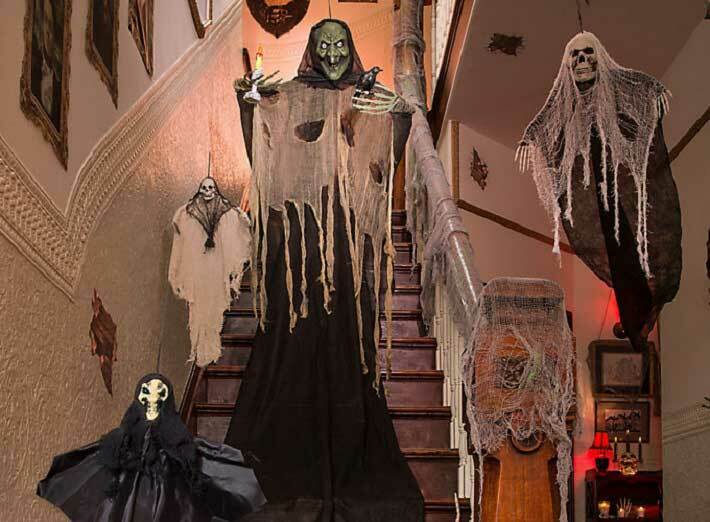 Other nightmare giving Halloween party decoration ideas are converting your front lawn or backyard into a cemetery. Hang skeletons on the trees and place dummy graves in your lawn. Whether it be a bloody doll with a saw standing in the window or a hairy woman coming out of the television screen, Halloween proves to be a fantasy for people fond of scaring others. You can also hang some bloody body parts in your lounge and bedroom to give a more haunted look. 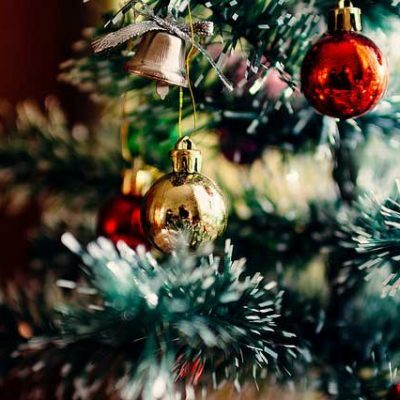 After the party, make sure to clean up your home nicely. 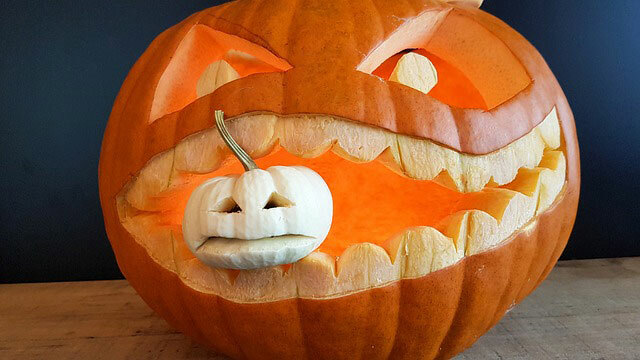 Do not ignore your food while thinking of Halloween party decoration ideas. Food, being a huge part of the party, should be synchronized with the theme. Make a list of what you want to serve at the party and be sure to incorporate black food coloring in your dishes. You can make some improvisations on the traditional cakes and cocktails. If you are planning to serve glasses of party mix, add some gummy worms to give them a creepy look. Take a step ahead and get custom made plates and napkins with skeletons printed on them. A more convenient option is to create lots of finger food rather than wholesome hearty meals. Bake tiny eye ball cakes to freak out your guests or roast some marshmallows and decorate them with black sprinkles and chocolate. Mummy pops made with bananas and chocolate, decorated with colorful beans can add the level of creepiness you are looking for! Plan the games before hand to make your Halloween party memorable and interesting. Most of the games require things you already have in your house, so you don’t have to spend any money. Make these games a part of your Halloween party decoration ideas and incorporate them in the whole theme. For instance, pumpkin bowling is a suitable game for both adults and children. 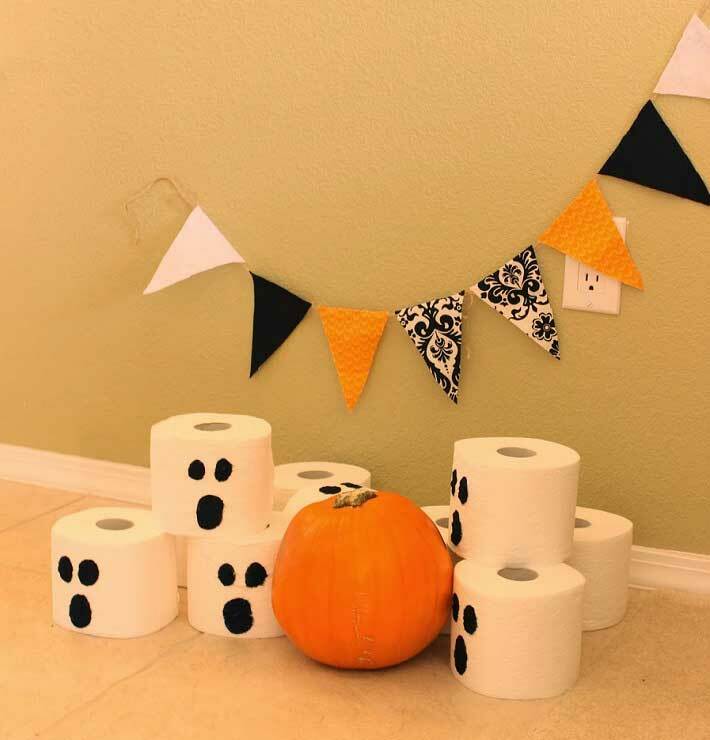 Use toilet papers as targets and make them look like tiny ghosts, whereas, pumpkin can be used as a bowl. Whoever scores maximum gets a small treat. In addition, include some traditional games like Feel the Box, where the player has to feel the items inside the box and guess correctly to win. Halloween Jinx is another game that has some strict rules. You tell the guests to avoid using a certain word for the whole night. Set some punishments and penalties for the losers. 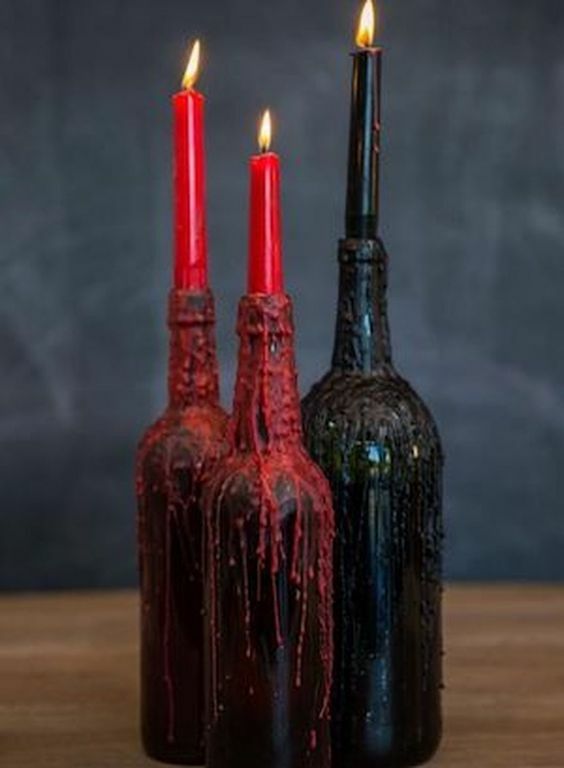 One of the cheapest yet brilliant Halloween party decoration ideas is the use of spare wine bottles as candle stand. Use dark colored wine bottles and start by scraping off the labels. Get silver or white spray paint from the local market and paint ghost faces and eyes on the bottles. To create a scary environment, turn off the lights and draw the curtains so that candles are the only illuminating thing in the room. 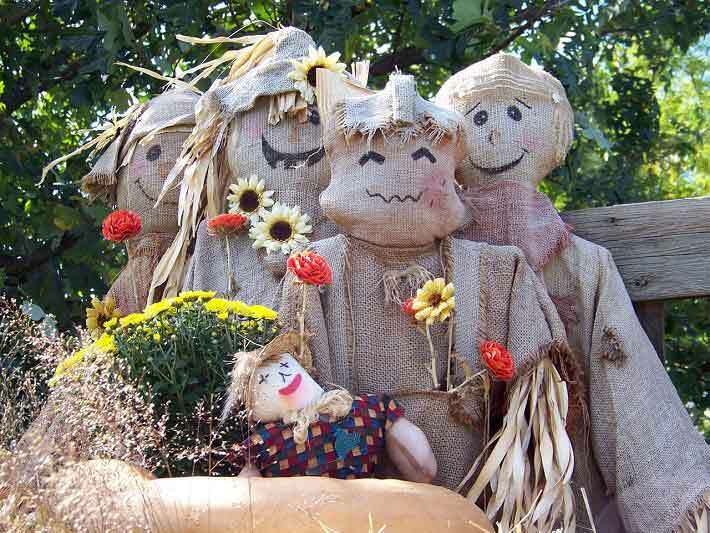 Scarecrows are one of the traditional Halloween party decoration ideas. Nothing scares children off like a wicked scarecrow with a creepy smile. You can get a ready-made scarecrow from the market or DIY to make it look more frightening. All you need is a pumpkin, some old clothes, hats, hay or stuffing material, and glue. Either have a single scarecrow or a couple to build a creepier vibe. Also, place a recorder inside scarecrow’s head that keeps playing all night long yelling threats and curses at the guests. This will cost more since you will have to replace the batteries after a while. If you are running out of Halloween party decoration ideas, plan a movie night. 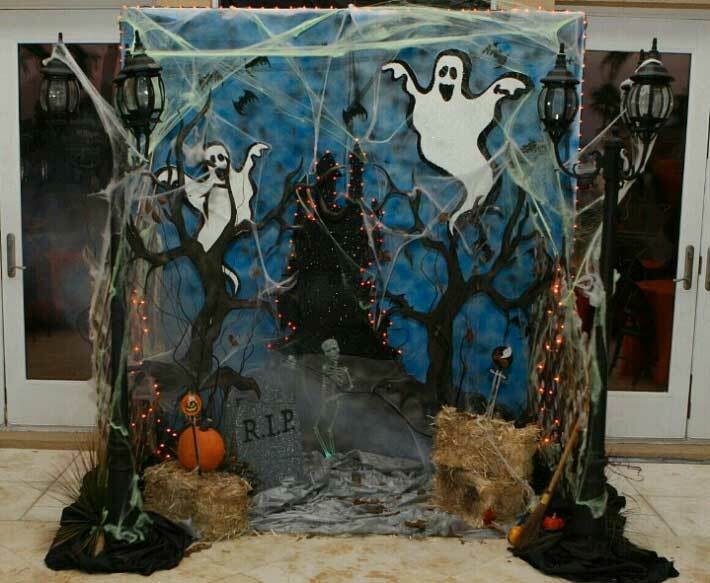 Decorate the movie area with ghosts, crows, bats and turn off the lights and candles. Get some popcorn ready and gather everyone around the movie area. 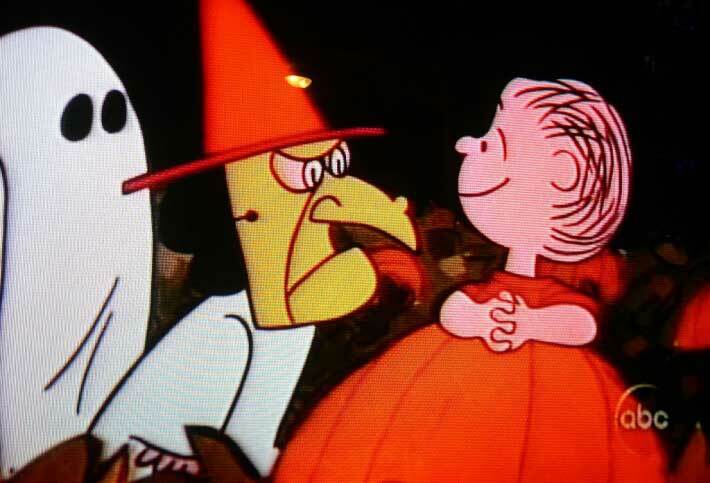 You can play a horror movie or a classic Halloween movie, such as, It’s the Great Pumpkin, Charlie Brown. It will be a scary little activity to pass the night. Draping the house with cobwebs and grayish colored rough cloth is a time saving yet effective way of lending your house a gloomy look. 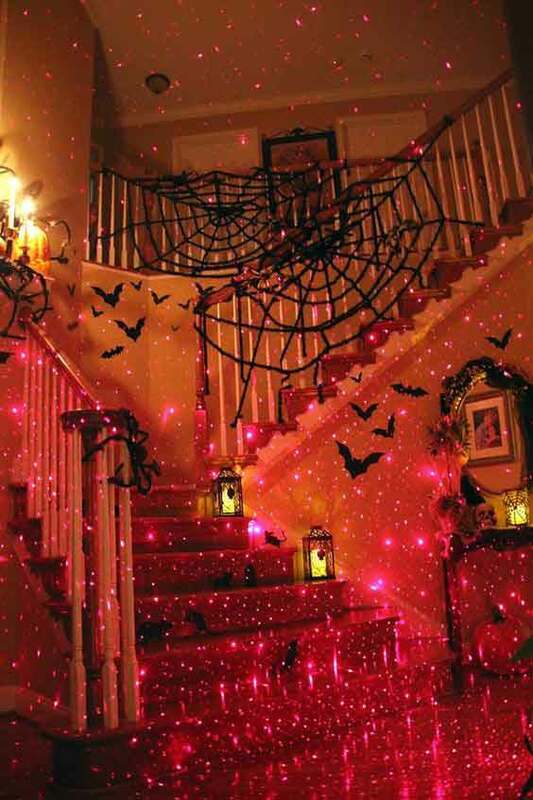 Cobwebs must be included in your Halloween Party decoration ideas. You can DIY cobwebs by using black wrapping paper or old shopping bags. You’ll need supplies like scissors, glue, tape and some available at home things while making these webs. Old cheese cloths can be used to drape your windows and corners. Use a hammer and nails to keep them in place. Ghosts, being the epitome of creepiness, are a perfect addition to your Halloween party decoration ideas. You can get some ghosts from the store or make them yourself at home. The supplies you will need are white cloth, black permanent marker, and a stand. 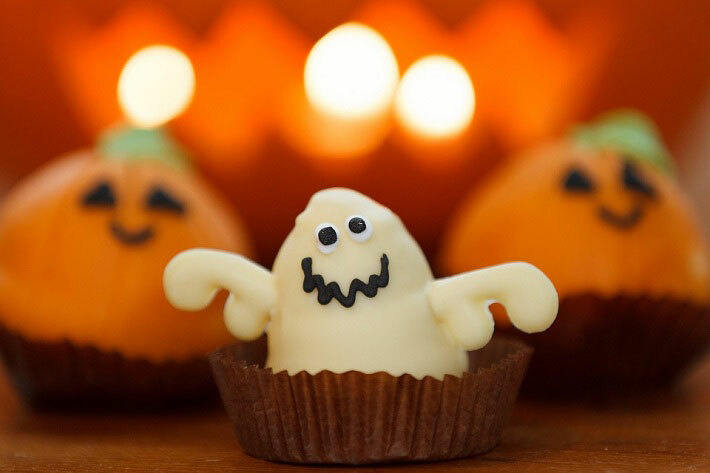 Place these ghosts near the candles so that they illuminate and give a more frightening look. If you are using both candles and ghosts in your décor, make sure the ghosts don’t catch fire from the candles. To give a more haunting vibe to the party, hang some ghosts with the ceiling so that they appear to be flying across the room. Create a menu for the bar titled ‘Potions and Poisons’ and get it printed just in time for Halloween. 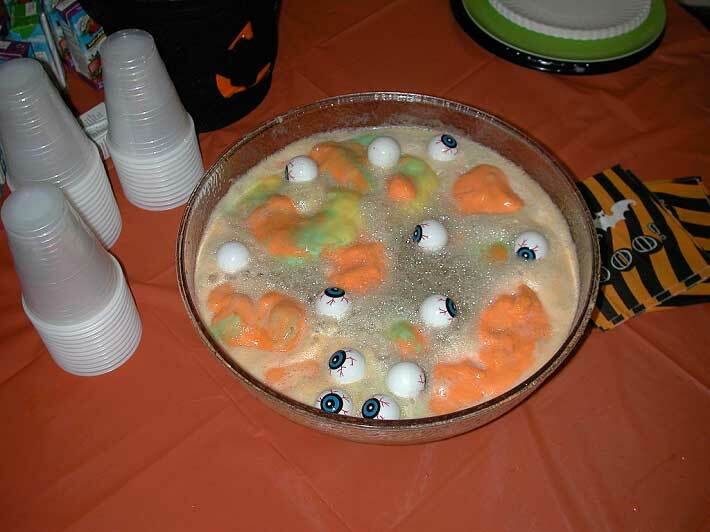 Include the traditional hocus pocus punch in the menu along with some modern drinks, such as, Ghoulish Punch. Making these drinks look as deadly as they sound is a part of best Halloween party decoration ideas since they also add to the aesthetics of the whole place. Rim the edges of the cocktail glasses with black sugar for a fancier look. Add a syringe in red colored bloody Shirley temple’s glasses for a twist to this must-have cocktail at your drinks bar. A myriad of Halloween party decoration ideas can be derived from spiders, crows, and bats. You can make spiders yourself using readily available supplies; for example, pine cone spiders, magnetic spiders, and paper spiders. Magnetic spiders can be attached to either the doors or walls to give a realistic look. 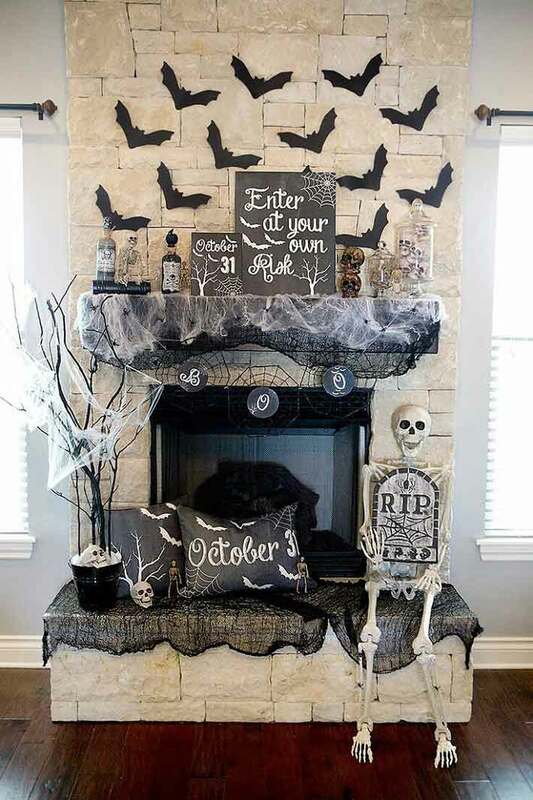 Also, using bats and crows in your décor helps you stick with the theme. Hang these birds from the chandelier or place these in your photo booth or graveyard. Incorporating these tiny black colored birds enhances the overall creepy look of your décor. 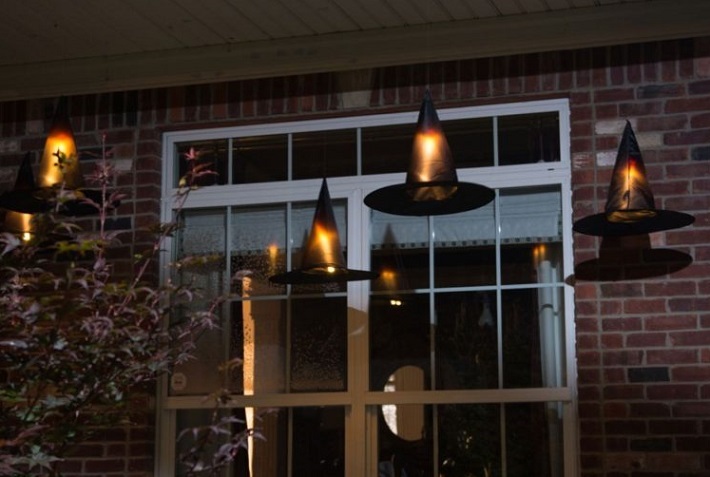 Witch hat lanterns are perfect to give your party a wicked aura. You can get these custom made from a designer or do it yourself at home. Include your kids in Halloween party decoration ideas while decorating your house with these hats. They can serve multiple purposes depending on how you want to use these hats. From hanging on the ceiling as lanterns to sitting at the table center, they look equally creepy everywhere. Also, get a wicked witch’s statue to go with these caps. Set these off as sky lanterns at the end of the party for a unique closure to your night.